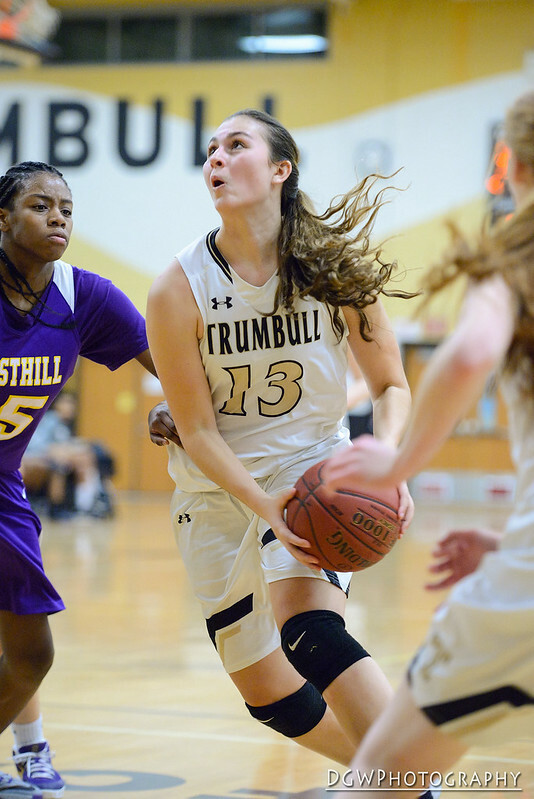 Claudia Tucci scored 12 points to lead the Trumbull High girls basketball team to a 49-21 victory over Westhill High on Friday. The Eagles are now 14-0 on the season. Click here for more images from this game.